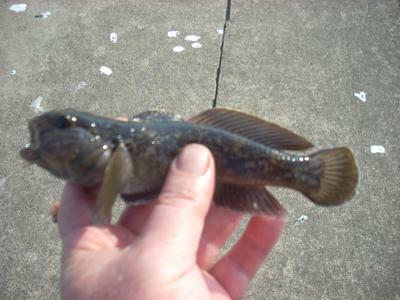 I caught my personal best Goby at Lake Erie this Fall. Tenkara is a bit risky on this large body of water as you never know when a large sheepshead or Smallmouth Bass may try to wreck your rod. 1 lb tippet, size 24 Tiemco hook with a small piece of worm. Your site is awesome BTW. Thats a big goby.i know that they are unwanted and an invasive species but I ve always thought that they were a really cool fish.one of my wishes is to go to Japan and fish for gobies.ive read that over there is pretty much the freshwater goby Capitol of the world.seems like every body of water has a different species of goby In it.a special trip out to lake Erie just to catch gobies would be awesome,,,that's a big goby that you caught,,now I wonder just how small a one can you possibly catch?